... to High Hope Farm — 38 acres of lush farm land and surrounding woods near Cedar Bluff, Mississippi. We are Johnny and Deb Wray. Nearly ten years ago we moved permanently onto the farm to live a life of hospitality to friends and strangers, and to raise and offer the finest grass-fed beef for sale. Although I've owned the farm since 1980, and worked it whenever I could, we had the chance to begin operating on an ongoing basis at the end of 2008 when Deb and I moved to our farm in rural Mississippi. Our “high hope” is to have a place that offers hospitality to friends and strangers alike — a welcoming table of good, healthy natural food, and a spot where earth, animals, plants and people live, work and play together harmoniously. We seek to live as the Kentucky writer and farmer Wendell Berry wrote in A Timbered Choir: "There comes a day when the road neither comes nor goes, and the way is not a way but a place." And so our day came and High Hope Farm is our place. High Hope Farm is located in the Mississippi "black prairie" country of western Clay County near the village of Cedar Bluff. 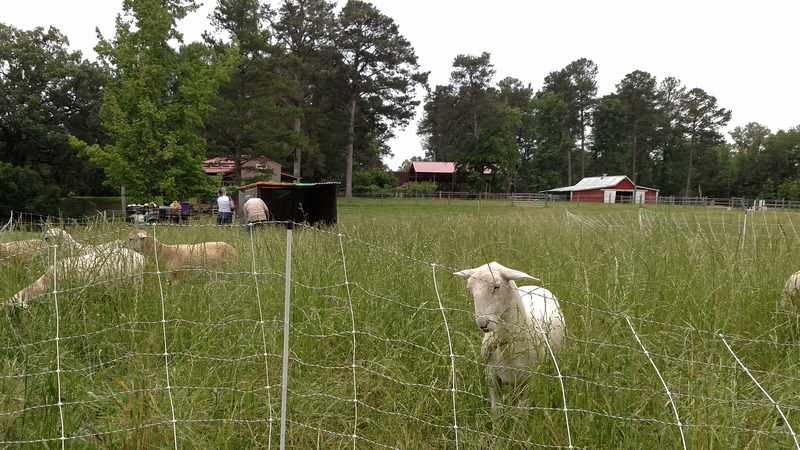 Our lush pastures are fertilized by the regular rotational grazing of our steers, lambs and chickens along with composted animal manures – without the use of chemical fertilizers or herbicides. We use no steroids, growth hormones, antibiotics or other chemical products – just local, native grasses, deep well water and no stress handling. Visitors are always welcome for a farm tour, a place for a country picnic, or even for a night in our guest house.